Kinda a silly question since HSC support is not added. But what about savekey? Is there some thread that describes how it works? Thanks.. I'll check it out! I'm not getting any POKEY sounds in Commando. I do get TIA. POKEY sounds are working for all other games. You may have a ROM with a bad a78 header. Yup, the one in the AA 7800 ROM download section doesn't have pokey enabled in the header. Here's one with the right bit set. 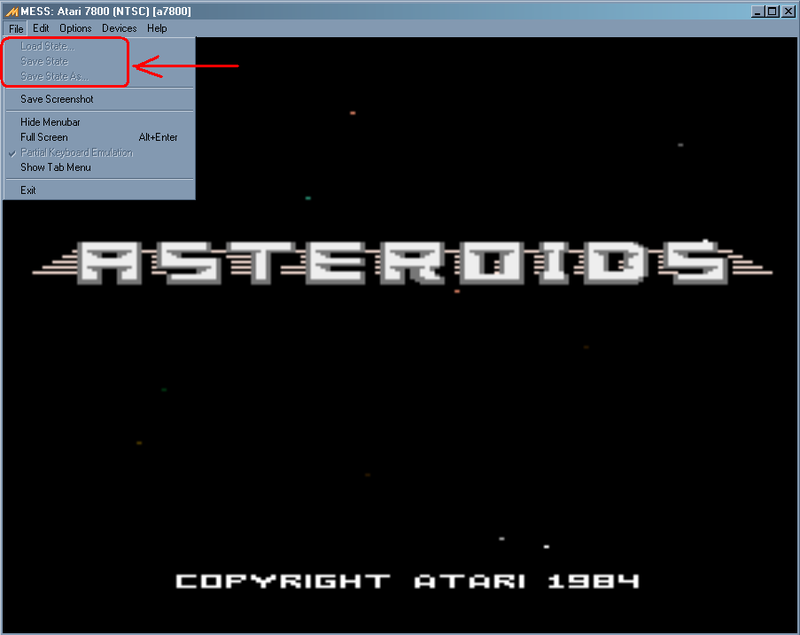 There were some fixes/updates to the MSX driver since 0.152 - Try a "clean" install/new folder. Honestly can't state I'm a huge fan of the MSX (More of a Commodore fan, being a damn Yankee with all friends and family having the Vic-20, C64 or C128 at one time or another). Regardless, you are doing a hell of a lot of work and impressive updates on the MESS driver, Wilbert...Thank you! Edited by NIKON, Fri Jun 6, 2014 8:59 PM. 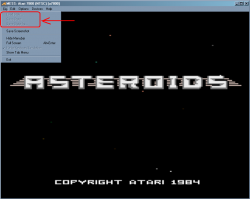 WolfMESS/MAME is used as a means of capturing and recording games (high scores) without cheating; hence the disabling of save and load states. 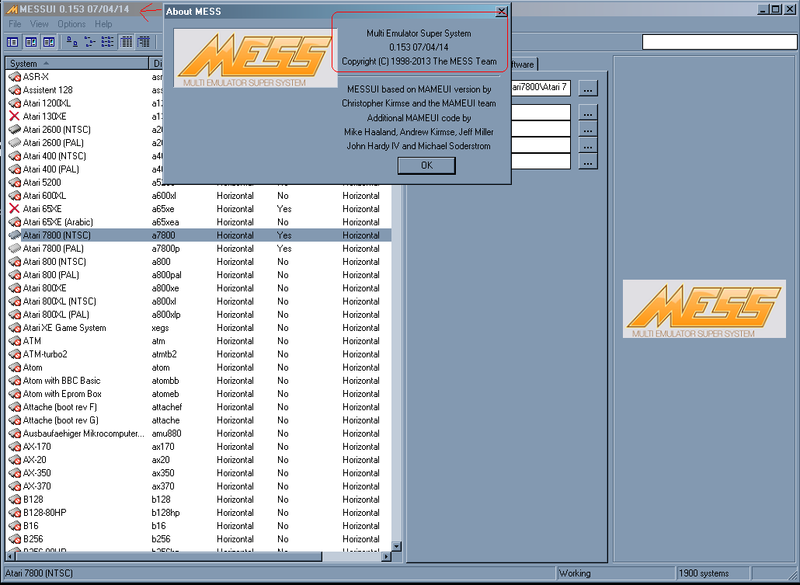 Use the official version of MESS/MAME if you wish to utilize save and load states. If you want MESS with a UI and save/load states - try here. 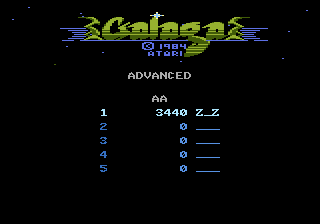 there is a person on highscore.com that does not like emulation pictures because of the ability to save states...he is a member here as well so I thought that the pic would be better served in this thread. Anyone have Windows 7 start up scripts for CMD to configure all the options for devices? For the sake of accuracy, the cart is implemented as a passthru cart. this means that you have to specify two file images to run correctly the game (in the main cartslot you put the hiscore cart, then a second cartslot will become available to mount the game). In conclusion, the correct syntax to launch the games with hiscore support will be e.g. Thank-you for the addition. It's greatly appreciated! It's like Christmas in August right now for me...LOL. Fantastic work! I'm trying to clean up the driver a little bit more, then I plan to look better to the XM expansion. MIA is an interesting story. I ran it in the MESS debugger and found it was reading from write-only registers, and some other odd behaviors. 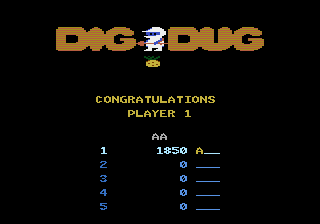 Digging deeper, it seems to be using the TIA player motion and collision registers, apparently as a sort of line-timer or line-check. The lack of this emulation seems to be causing odd memory access. To get it running properly will require (at the very least) additional TIA emulation code. 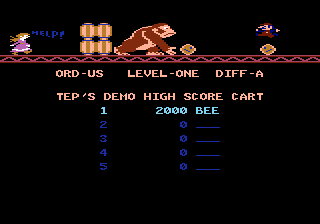 And ***GRRRR*** I have just realized the instructions I posted above for the HiScore carts were incorrect. Emulation works but you cannot load the A78 file as I stated. As soon as I manage to identify the A78 version of the cart from the header, I will add support for that one as well. What are the requirements to compile it on a Mac besides the latest Xcode? Any special tricks or dependencies to worry about?